The PROG4000 permits the simulation S4000 Numeric Control's environment on Personal Computer. Designed according to the philosophy that originated the PROG3000PC, a simulation board that earned big success in the past year for its power and easiness of use, the PROG4000 module permits the operator to execute on a Personal Computer all the programming and programming check operations both in CNC and PLC environment. 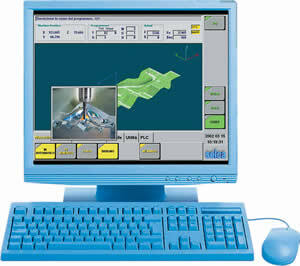 Once created on the PC, the CNC programs can be transferred to the Control through a USB key or through a network connection. The PROG4000 module is supplied in a housing that complies with the EC Standards and can externally be connected to a PC's USB port through a proper low voltage cable (included in the supply). 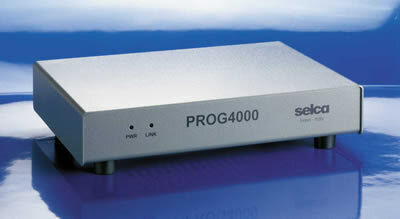 * For the proper functioning of PROG4000 it requires that the user has the privileges of "Administrator" or "Power User"
The programming instruments, such as SelCAM-POWER, SelCAM-COMPACT, SelDXF, etc., can be installed on the same PC, by creating a Selca Integrated Programming system.